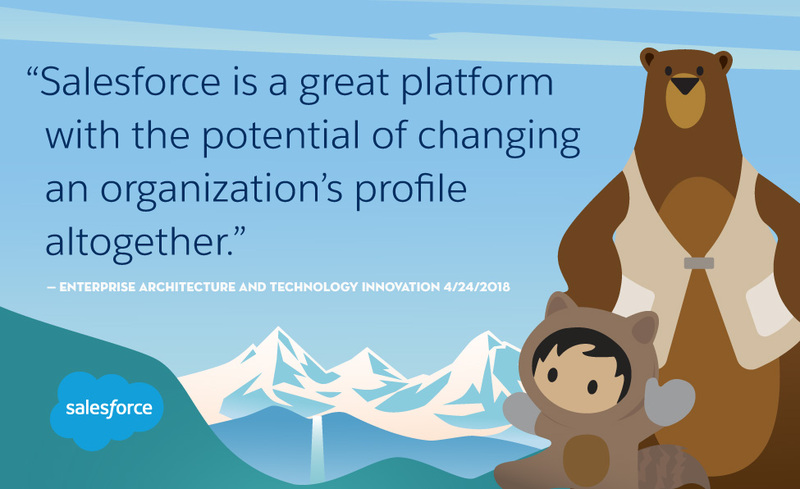 Salesforce has always been about connecting with our customers in new and innovative ways. And Service Cloud offers you a new way to help your customers. One with built-in intelligence and tied to the world’s #1 CRM platform. We’ve taken ordinary customer service and transformed it to provide an amazing experience that allows every agent to turn the world’s most demanding customers into a company’s biggest fans. This isn’t just customer service. This is how you turn every single touchpoint into an amazing, memorable, tell-your-friends experience. In this report, Gartner has recognized Salesforce as a leader, and we’re positioned in the Magic Quadrant highest in ability to execute, and furthest in completeness of vision for the CRM Customer Engagement Center. We’re Trailblazers because customers are our guides. Now companies can connect service to every part of their business. So they can deliver more personalized experiences for every customer — and create lasting relationships that turn a service center into a growth engine. We continue to expand and deliver the apps and solutions that can connect businesses with customers on any channel they might use now — and whatever comes next. From agents to managers, to admins to developers, Trailhead makes learning Service Cloud fun and easy with guided learning paths for every level. And our Ignite team works with customers to jumpstart their Salesforce integration to more quickly and easily reach even their most ambitious goals. We’re proud and honored to be a Gartner leader. Salesforce was built on helping each and every customer succeed. That’s why earning this Gartner recognition is so important to us. It’s been an exciting 10 years, and we look forward to helping businesses connect to customers in whole new ways for another decade and beyond.